Like I said, Blue Tears in 2006 sounds almost nothing like Blue Tears of old. Vocalist and mastermind of the band Gregg Fulkerson has always had a Bon Jovi influence in his voice. Nowadays, Gregg sings lower and less nasally than in the past. The end result is a delivery that sounds like 90's Bon Jovi mixed with, surprisingly, Bruce Springsteen. Even from a musical perspective, many of the songs have a rocking Springsteen feel to them. The particular use of the keyboards on this album really reminds of Springsteen material of old. The Keep The Faith / These Days era Bon Jovi mixed with the more rocking side of Bruce Springsteen's older material is an unmistakable trait of all the songs on this album. One exception to this rule is the very Creed like acoustic track All The Way Home. Gregg was part of a band called Attraction 65 that released an album in 2003. Although I haven't heard this album, I've heard that this is a very contemporary rock album with Gregg sounding similar to Scott Stapp. I suppose that era in Gregg's life might be where this song comes from. Honestly, I can't stand Creed, but this song is actually pretty good even if it sounds a bit out of place compared to the rest of the material on the album. The sheer emotion that Gregg sings with on this song is just too much not to appreciate. The next track She Wants to be a Star is my favorite track on the album. This is one track that actually does harken back to the debut Blue Tears album. It's an uplifting rocker with a big chorus line that will get stuck in your mind after the first listen. I am quite pleased with this album in that most of the material is of the hard rocking variety. The three ballads on this album are actually very solid; and that's coming from someone who gives most ballads the "skip track" treatment. The other 11 tracks on this album are very inspiring hard rock. I really think that fans who have been turned off by Bon Jovi's very modernized sound of late and his excessive use of ballads will appreciate this album. The debut Blue Tears album is often described as a mix of Bon Jovi and Def Leppard. As I said, The Innocent Ones retains a Bon Jovi influence, albeit a 90's version. The Def Leppard tones are gone completely, which means the huge harmony vocals and instantly catchy chorus lines are gone. Still, the songs on this album are very melodic in nature, with catchy chorus lines also to be found on most songs. However, they aren't as over the top, which means this album will take a few listens to appreciate. Once you really give the lyrics a chance and allow the songs to really come to life, you'll surely appreciate this album. For a 16 year layoff, Gregg Fulkerson has done a great job in serving the Blue Tears name well. Although this album follows a different path than previous material of the band, the songwriting and lyrical content is able to stand on it's own and make this a worthwhile purchase. 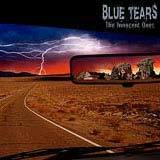 Die hard fans of the old Blue Tears sound may be disappointed, but fans of up tempo hard rock, particularly in the early 90's Bon Jovi meets classic Springsteen mold will love this album.